Written by deanj. Posted on 13 March 2011. Filed under Recipe. Tagged Beachbum Berry, crazy garnish, fire, flamming garnish, fruit juice, obscure, orange, Pad: Guide to Ultra-Living, rum, tiki, umbrella. No comments. The Miehana is my go-to umbrella drink; it’s yummy, easy to make and is fruity without beating you over the head with the rum. It’s a modern invention, not an old-school Tiki-drink but I like it. 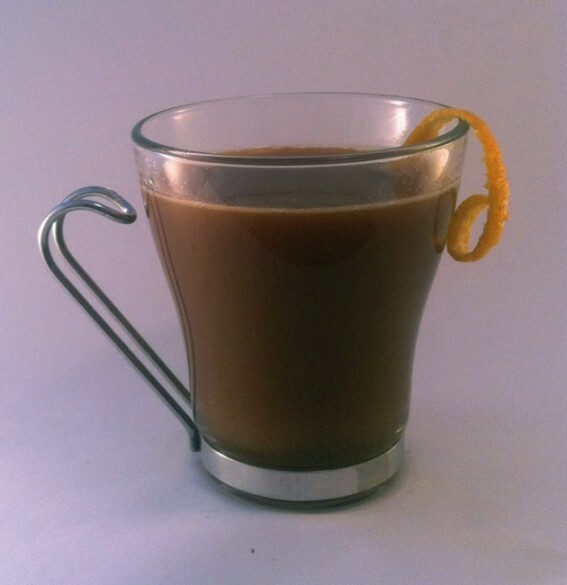 Shake well and pour, unstrained, into a double old-fashioned glass or a Miehana mug (crafted by TikiFarm but only available on ebay currently). Add ice as needed to fill glass. Alternately, you can make one-and-a-half and fill a hurricane glass! Flaming garnish is inspired by the out-of-print book, Pad: The Guide to Ultra-Living . I’m working on a separate post just about the flaming garnish. Short story is leave a bit of bread on the counter overnight and douse it with lemon extract (found with vanilla extract with spices at your grocer). Recipe from Beach Bum Berry Remixed . Seriously, if you attempt a flaming garnish please be safe; have an Multi Purpose Fire Extinguisher on hand. Written by deanj. Posted on 9 March 2011. Filed under Recipe. Tagged Beachbum Berry, classic, crazy garnish, curaçao, old school, Pad: Guide to Ultra-Living, rum, tiki, umbrella, vermouth, zombie. No comments. This recipe is from the South Seas restaurant in Honolulu, Hawaii circa 1970. 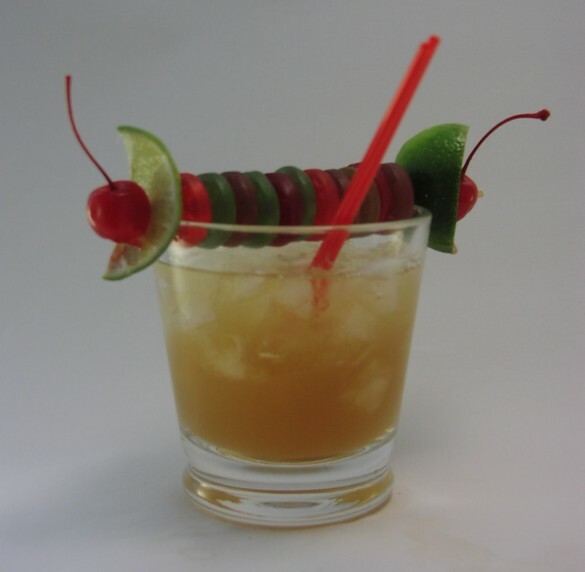 Not your standard Zombie recipe but a very nice version. Plenty of rum and fruit in this one, no surprise there! The garnish here is from one of my favorite (also out-of-print) books, Pad: The Guide to Ultra-Living ; it is made from skewer of candy Lifesaver Gummies. You can get the 6-inch Bamboo Skewers and the LifeSavers Gummies (Pack of 18) from Amazon. Note: I do have a nice collection of tiki mugs but I really like how the rum drinks look in a clear glass so they don’t get used very often. Written by deanj. Posted on 20 February 2011. Filed under Recipe. Tagged classic, mermaid, old school, orange curaçao, rum, tiki, triple sec, umbrella. No comments. This is not the original Trader Vic Mai Tai. What this is is a very nicely balanced version of the fruity one’s that we fell in love with while on vacation in Kauai. 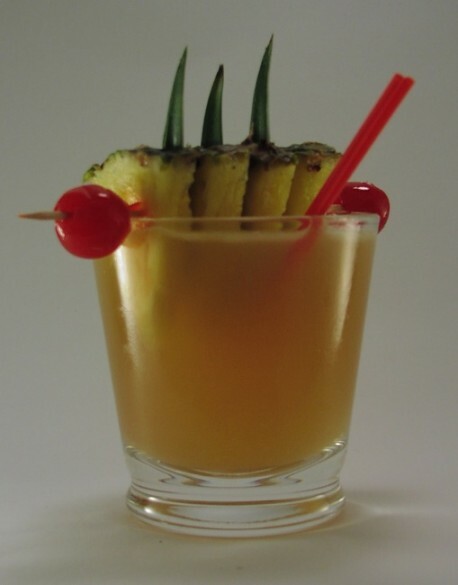 This recipe originates from Surf Room at the Royal Hawaiian in Waikiki circa 1940. Shake well and strain into a chilled double old fashioned glass. Garnish generously. Recipe adapted from Beachbum Berry’s Intoxica! For your garnish, get 4 inch Bamboo Skewers from Amazon. Written by deanj. Posted on 19 February 2011. Filed under Recipe. Tagged coffee, morning cocktail, obscure, rum, tiki. No comments. The brown sugar, rum and spices are almost chocolatey with the coffee. This is quite good and worth the bit of preparation. Note that this recipe is enough for 4 drinks.